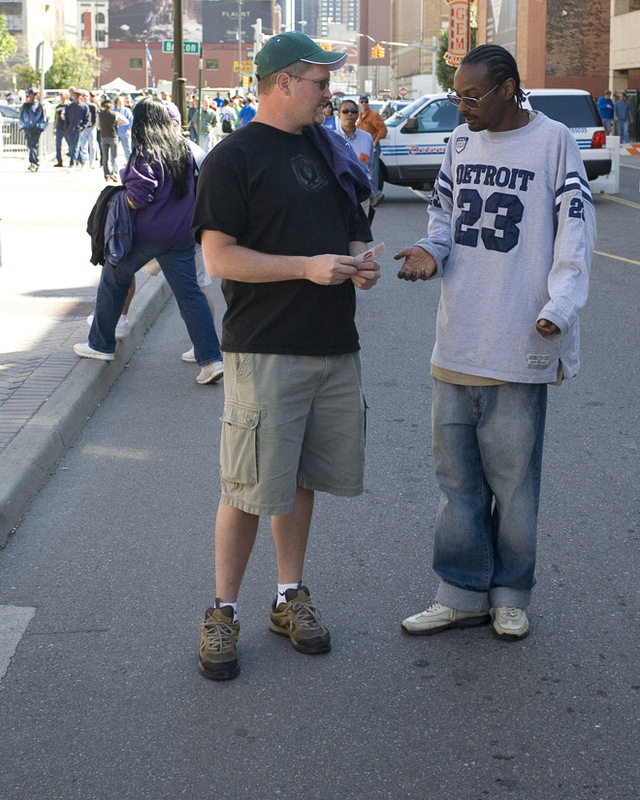 My friend Paul was trying to sell a few tickets to this scalper in Detroit. I love the guy’s ‘look’. He reminds me of Snoop Dogg. When Paul told him how much he was selling his extra tickets for, Snoop complained and said he has kids to feed. Classic.